Thomas “Buck” Jenkins doesn’t like to talk much about his year of Army duty in the Vietnam War — a time in his life with too many bad memories from too many bad experiences. Like many, Jenkins returned home to people who criticized his service, yet had never walked five steps in his shoes as a soldier. Jenkins, 67, a Florida native who now lives in Kansas City, says the same thing about being a black man in America — a lot of people criticizing what, and how, blacks protest issues deeply impacting the black community, without remotely walking one step in those combat boots. I talked to Jenkins recently in light of “The Vietnam War,” the Ken Burns and Lynn Novick film now airing on KCPT and other PBS stations around the country. I knew that people had this particular era of American history on the brain. Also, I was also curious to hear what a black veteran thought of the continued controversy of NFL players “taking a knee” to to protest the higher rate of unarmed black people killed by law enforcement compared to that of unarmed white people killed by law enforcement. Many critics have argued this form of protest is an insult to the people who served in the military, that’s it’s disrespectful to the flag. From Jenkins perspective, no matter where the black American man is in the world, no matter what he is doing, he is perceived as a lesser human being, even when fighting side by side in war. According to American War Library website, blacks were 14 percent of those who died in the Vietnam war, despite being 11 percent of the population at the time. A recent article in The New York Times reports that in 1965, the deaths of black soldiers in the Vietnam War was 25 percent of the total casualties. The number only decreased because black leaders protested this and President Lyndon B. Johnson responded. So often, I’ve heard — usually from white military personnel and veterans — that race didn’t matter in the military, that the code and bond of being a soldier trumped any other division or demographic. Yet, if one does the most basic research, there are enough interviews and articles to know that this utopia is a fiction, with racial discord in the troops getting particularly tense during the war after the Martin Luther King Jr. assassination in 1968. I asked Jenkins if he considered himself an American first or a black man first when he was in Vietnam in 1969-1970. When I think about how, in some ways, blacks still receive such harsh criticism no matter which way we protest inequality, my mind is boggled at the thought of young black men, like Jenkins, barely out of childhood, fighting a war overseas, while on our land, dismantling Jim Crow’s segregation laws continued to be our battle. What surprises Jenkins today is that blacks still have to fight to not be treated as if they are inferior, still have to take a knee to draw attention to equality, and then have people use patriotism as the excuse of why they are against it. After talking to Jenkins, I was proud and sad. Proud that he represents one of the hundreds of thousands of men and women who have always protected my interests as an American, even when this country didn’t treat each one as a hero when they came home. And sadness that history is on a continuous loop where the lessons just have more sophisticated ways for us to ignore them. 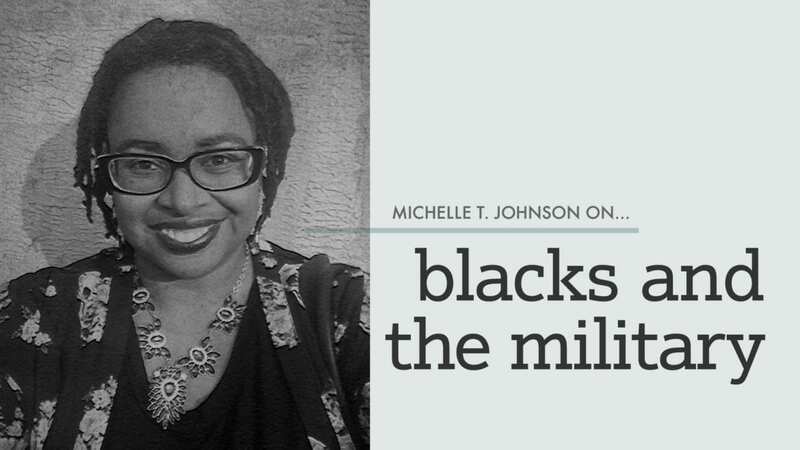 — Michelle T. Johnson worked with KCPT as the playwright for StoryWorks KC’s theater production of “Justice in the Embers” and brings nine years of experience as a columnist.